The CIRES Center for Science and Technology Policy Research hosted a competition to send four CU Boulder students to Washington, DC to attend the AAAS “Catalyzing Advocacy in Science and Engineering” workshop in Washington, D.C. March 24-27, 2019. At the workshop students will learn about Congress, the federal budget process, and effective science communication, and will have an opportunity to meet with their Members of Congress or congressional staff. The competition is supported by the University of Colorado Graduate School and Center for STEM Learning. Through a highly competitive selection process Katie Chambers (Civil, Environmental, and Architectural Engineering), Claire Lamman (Astrophysics and Physics), Danielle Lemmon (Atmospheric and Oceanic Sciences), and Madeline Polmear (Civil Engineering) were chosen as this year’s winners to attend the workshop. Their biographies are listed below. 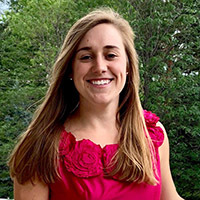 Katie Chambers is a third-year doctoral student in the Department of Civil, Environmental, and Architectural Engineering at the University of Colorado Boulder, pursuing certificates in Engineering for Developing Communities and Science & Technology Policy. Her doctoral research focuses on the effects of natural hazards on sanitation systems in developing communities, specifically the re-adoption of latrines following flood events in Ethiopia. She is broadly interested in the use of science (and role of scientists) in the development and evaluation of policy, particularly in international contexts. Claire Lamman is a Boettcher scholar working towards a BA in astrophysics and physics. She is currently analyzing a large survey of M dwarfs (the smallest, coolest type of star), which will help astronomers studying stellar formation and aid in the search for planets around these stars. Outside of research, Claire spends a lot of my time developing and presenting shows at CU’s Fiske Planetarium. She loves sharing astronomy with others and has found many great opportunities at CU to do so, especially through CU STARS, a group that focuses on improving the inclusivity and accessibility of astronomy. Claire will be attending an astronomy PhD program in the fall, which will hopefully set her up for her ultimate goal: a research position with an emphasis on scientific advocacy and outreach. 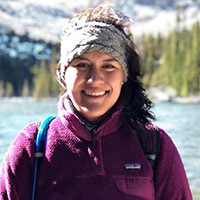 Danielle Lemmon is a 4th year PhD Candidate and an NSF graduate research fellow in the Atmospheric and Oceanic Sciences department at CU Boulder. She studies El Niño Southern Oscillation dynamics with a keen focus on science policy implications. 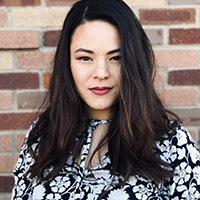 Her passions include climate justice, pedagogical methods, and intersectional social justice. She aspires to run for public office as a queer woman of color and as a climate scientist. 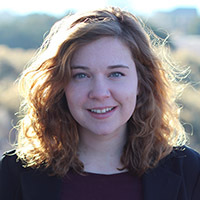 Madeline Polmear is a PhD candidate and research assistant in Civil Engineering at the University of Colorado Boulder, where she also completed her Bachelor’s in environmental engineering and Master’s in civil engineering. Her research focuses on engineering education related to ethics and the societal impacts of engineering and technology.